Do you have the patience to self-publish? Self-publishing is a great opportunity for anyone who wishes to become a published author to get their work into the hands of readers. But, understand! Just because you publish a book does not mean it will fly off the shelf at Amazon.com! Self-publishing is not easy. It takes a great deal of work to do it right. Looking back, I made a great many mistakes publishing my first book. Many of them could probably have been avoided with a bit more patience, but hey … as long as you learn from your mistakes and do not keep repeating them, things can only get better. This is the first in a series of blog posts in which I will share the lessons I learned from self-publishing my first novel. These lessons-learned will certainly be applied in publishing my sequel. If you find anything in this series of posts helpful to you, then I will be happy. And, if you do … I would love to hear from you. Have the Patience to do it right! 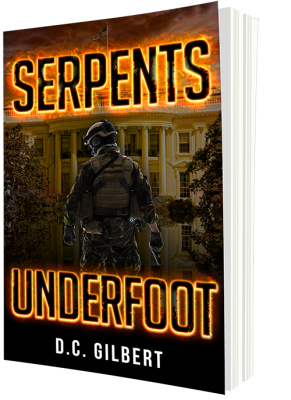 Not only did I rush to finish my book, Serpents Underfoot, itself, but I had no platform in place to successfully market it. While Amazon does help authors promote books, your book won’t fly off the charts on its own. Their algorithm does not pick up your book until a certain level of sales is reached. Having the patience to take the time to have a marketing platform and plan in place before publishing your book will be a big help in reaching that level. This does not mean I am not having success. My book is selling and has gotten some really great reviews along with a couple of not-so-good reviews. But hey, not everyone will like your work! That is life. Author promotion and help sites such as BookBub, AuthorsDB, Author Connections, Alliance of Independent Authors, Authors Marketing Club, etc. An email service such as Mail Chimp and a newsletter. Social network marketing such as a Facebook Author’s Page, Instagram, Pinterest or Twitter, and how too best utilize them. Advance Release Copies for reviews. Have a long term plan and stick to it. Success will not just fall into your lap. These things take time and patience to understand, set up, put in place, and achieve results. There is no “one magic bullet!” Success is built around a lot of small steps and there is so much to learn. As you can probably see, it will take a good deal of work. Having some patience will be a real asset.